In this talk, Michaela will explore the ties between anxiety and perfectionism, how she overcame her battle with agoraphobia, and how even with anxiety, you too can learn to live life to its fullest. 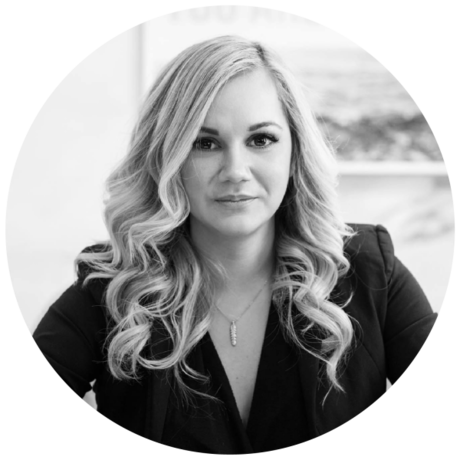 Join us for the first CreativeMornings Ottawa talk of 2018 as we welcome espresso-fueled entrepreneur, Michaela Alexis to speak on the global theme anxiety. When Michaela was in kindergarten, she ran home excitedly one day, brimming with glitter and pride, as she announced that she was, “The ONLY TOOTH FAIRY at Career Day, and everybody else in my class was just dressed up as doctors and dentists!“​ Her imaginative spirit has not changed much since that day. Michaela is a Marketing Specialist accidentally turned Linkedin Viral Content Creator. She had her first viral hit article on Linkedin back in March 2016. Since then, she replicated her viral success with multiple career advice articles, updates, photo and video campaigns. Michaela’s articles have been featured and published on CNBC, Success.com, Mashable, and more. Armed with just a tiny dry erase board and writing skills, Michaela has organically built a mega presence on LinkedIn of over 100,000 professionals by tackling tough business conversations like failure, harassment, and confidence. When she isn’t writing or training clients on how to use LinkedIn, she regularly speaks at schools and volunteers with Canadian newcomers, sharing her advice on networking and the power of personal branding in today’s digital landscape.